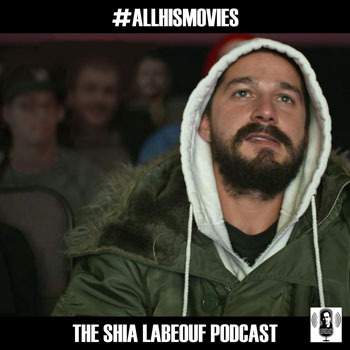 In November 2015, Shia LaBeouf watched all of his movies over 3 days. Starting in November 2016, Joey Lewandowski and Mike Manzi are doing the same over the course of a month. This is Shia LaBeouf. This is #ALLHISMOVIES. Like Shia, Joey and Mike started in the present and worked their way back through Shia’s career… only to wrap things up with a neat bow in the form of Man Down! We’re Not Famous Anymore. Introducing #ALLHISMOVIES!